ACREofART I&II thru 2019 (LtoR) Looking for a Handle-Jeremy Nuttall, Athena-Sam Spiczka, BorBor8-William Vannerson, THEB: Stacked-Jeffery G. Boshart, Stranger Reduction Zone-Timothy C. Flood, Lessons Learned-Mike Godell, The Sum of Our Parts-Ben Pierce, Home-Keith Kaziak, Here-Ruth Migdal, Two Wings and a Prayer-Andrew Arvanetes, Cotton Column-Jim Gallucci, Stairway to the Stars-Gail Simpson & Aristotle Georgiages, Domesticator-Scott Wallace, Sleepy Time-William Fillmore, The Die May or May Not Be Cast-Rob Neilson, Make It Rain-Ryan M. Lamfers, Wing Meditation Bench-Victoria Patti. 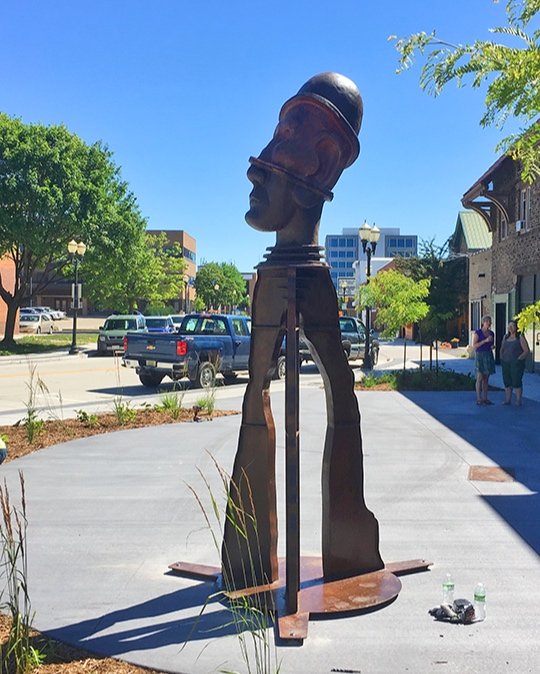 ACREofART is in its second season showcasing community sponsored sculptures in Appleton’s Downtown and Riverfront Districts and into the neighboring communities of Neenah and Menasha. 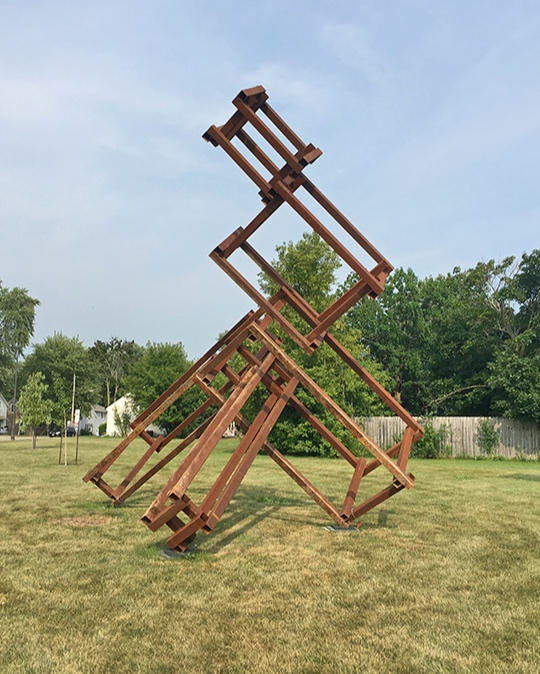 Our vision of a Valley-wide public sculpture program has taken root and is growing with every season, germinating public artworks all along the Fox River,. 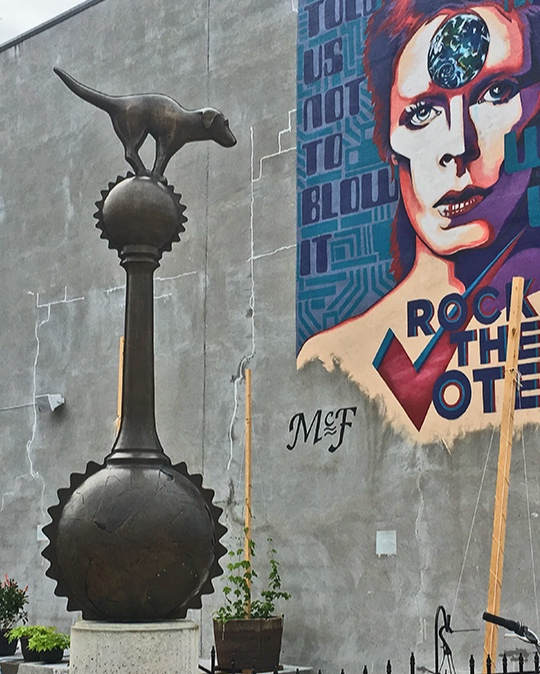 ACREofART expands the visual enhancement of downtown districts and open public green spaces by showcasing works from nationally recognized artists. 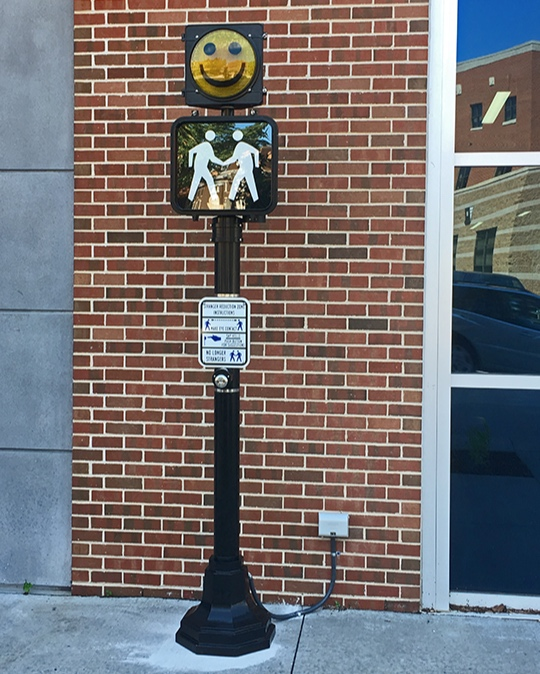 It is funded entirely through the generous sponsorships of area businesses and individual donors. At the close of each biennial season, these donors have first right of refusal to purchase their sponsored work and we truly hope that some will seize this unique opportunity to acquire and permanently install these great works of art somewhere in our community! Sculpture Valley itself intends to purchase one or more works from each season of ACREofART coordinating with community governments or private partnerships to permanently place them in our public realm. Our goal is to install sculpture from our annual competitions within city parks, urban green spaces, and select sites along the expanded trails system of the Fox Valley. 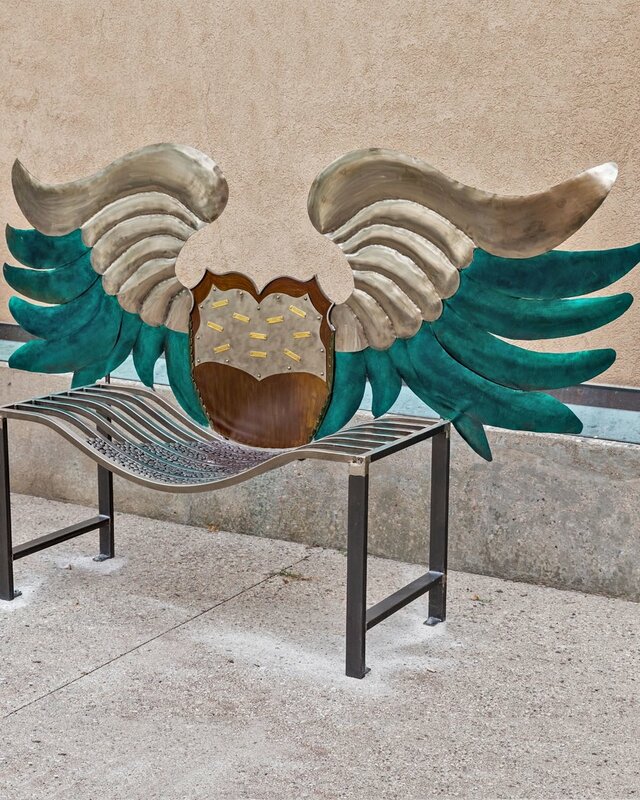 With ACREofART we have joined the envious list of visionary cities across the nation which recognize how important and significant it is to add to the beauty and embrace of their community with public sculpture. We also recognize that this program is impossible without the generous support or arts advocates and area business who understand the value of public art and its ability to transform urban landscapes into desirable and attractive places to live and linger in. Please consider becoming a sponsor for the 2019 -2021 Season. Take the brief survey of interest to let us know you are thinking about it. And if you're a dimensional artist and want us to consider your work, have a look at last years artist submission form for program specifics. Take a virtual tour of ACREofART by downloading the free multi-platform touring app, Otocast. Hosted by the City of Neenah at Arrowhead Park trailhead. Hosted by McFleshman’s Brewing Co. Hosted by the City of Menasha at the site of the former Brinn Theater (Theater destroyed by fire in October 2018). Sponsored by Creative Downtown, Inc.